﻿ Why Has Montreal Become a Hub for Chinese Filmmakers? Why Has Montreal Become a Hub for Chinese Filmmakers? Four Chinese-Canadian filmmakers, from left to right: Jung Chang, Xiaodan He, Aonan Yang, and Tao Gu. In Canada’s second largest city, Montreal, a group of talented, passionate Chinese independent filmmakers have dedicated the past ten years to their filmmaking dreams. They’ve grown to become a unique component in the Canadian film scene. The group includes Yung Chang, Lixin Fan, Tao Gu, Xiaodan He, Aonan Yang and several more. 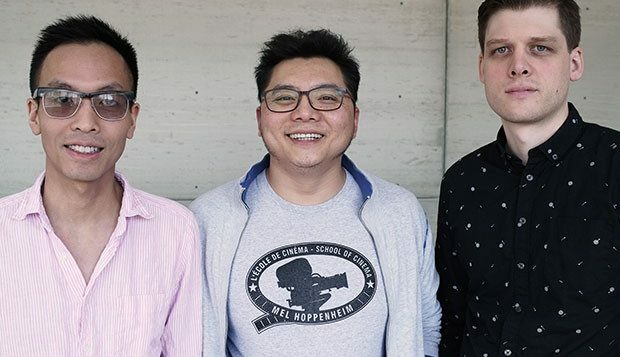 Backed by two Montreal studios, Eyesteel Film and GreenGround Productions, the young filmmakers works showcase Chinese-related subjects which have won many Canadian and international awards. In an effort to understand what makes it is about Montreal that has inspired, motivating and encouraging to these Chinese filmmakers, I have followed their development for several years and recently interviewed four of them to learn more about the reasons behind their success. It was ten years ago that I first met Yung Chang at a local theatre where his 2008 debut film was showing. At the time he was a tall, bright, always smiling young man in his mid-20’s. His documentary film, Up the Yangtze, was in full swing at the Cinema du Parc. a movie theatre well-known in the city for hosting film festivals featuring foreign, and experimental films and works by new filmmakers in addition to mainstream feature films. The film focuses on two Chinese teenagers whose lives have been completely changed by the construction of the famous Three Gorges Dam, China. 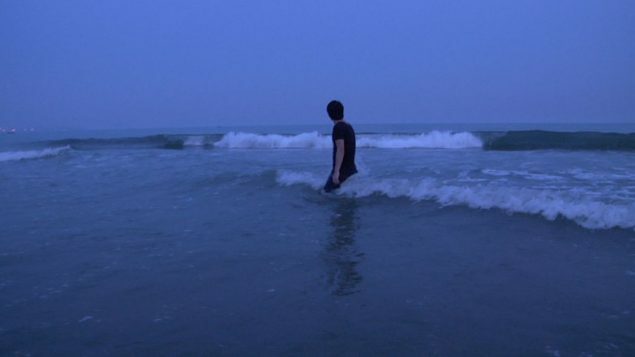 Chang’s film went on to win the title of best documentary at the Golden Horse Awards in Taiwan, and best long documentary at the Genie Awards in 2009, now known as the Canadian Screen Awards. 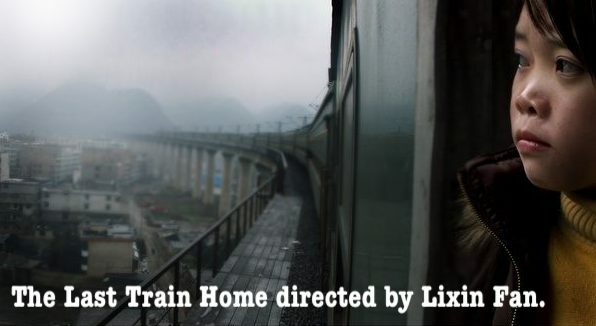 That same year another Montreal- based filmmaker, Lixin Fan released his documentary The Last Train Home. This film went on to win a number of awards including the news and documentary Emmy for the best documentary film and outstanding business and economic reporting. Two years later it won a Canadian Genie Award for best documentary in 2011. 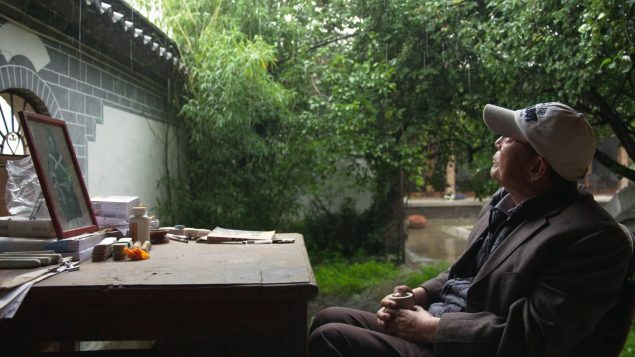 In the film, Lixin Fan spent several years tracking the life of a migrant worker family in China. As have vast numbers of other typical migrant workers in China, the husband Changhua Zhang and his wife Suqin Chen left their rural hometown to work far away at a garment factory in Guangzhou, one of the manufacturing centres in China. In doing so, they had no choice but to leave their two young children in the care of children’s elderly grandparents. Once a year, during the Chinese New Year, the couple join the 130 million other migrant workers on the long journey home. This constitutes the biggest human migration in the world. The film continues to follow the couple in the weeklong journey as they travel across China to their distant home where they can spend only a few days with their children before having to make the long return journey back to the Guangzhou factory. At home, however, the film shows their teenaged daughter, Qin Zhang, who barely knows her parents. As she grew up, the daughter seldom saw her parents, and feels she barely knows them. Because of this she feels she was abandoned by them and harbours a strong feeling of isolation and resentment towards them. This simmering resentment explodes into a huge family conflict in front of the camera. The Last Train Home takes a close look at the hardships and sacrifices of these millions of Chinese workers, who are the real force behind the “Made in China” label. Chang’s second effort in 2012 was called China Heavyweight, and was another audience success. In this film Chinese boxing master Moxiang Qi returns to the arena one last time. At the same time the film highlights the dreams and desperation of Qi’s apprentices, who, without exception, come from very poor backgrounds and hope to change their fates via success in the boxing ring. It won Chang his second Golden Horse Award, and had a theatrical release in over two hundred mainland China cinemas. These three documentaries, which are authentic and realistic, have revealed the lives of people in the background of China’s modernization. Lixin Fan once told me that mainland Chinese society was in a period of rapid transition and there were tons of worthy stories to be told. It’s no coincidence that all three of these films are produced by Montreal independent production company, Eyesteel Film, which supported the two young directors, and was able to propel them onto the much bigger world stage. Eyesteel Film was founded in Montreal twenty years ago by Daniel Cross, a director himself, who has played a prominent role supporting and promoting independent filmmakers for decades. It was also ten years ago that a new film production house was set up in Montreal. 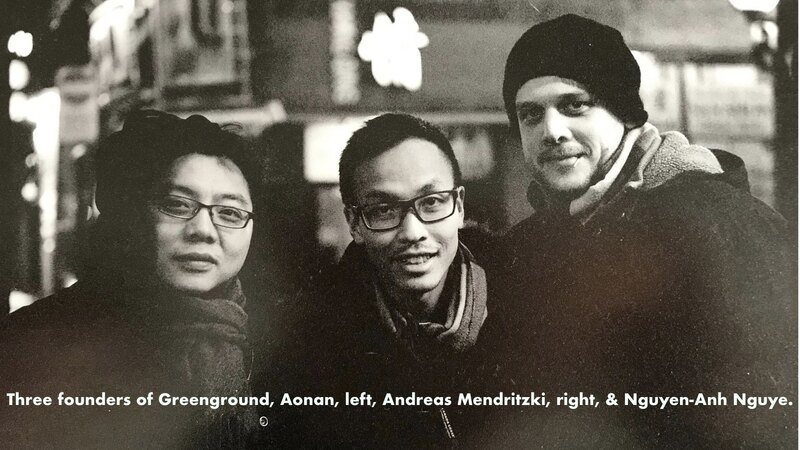 Aonan Yang, from Concordia University’s film faculty and two classmates holding similar creative views, Andreas Mendritzki and Nguyen-Anh Nguye, founded GreenGround Productions and then later, the post-production company, CineGround Media. Three founders of Greenground Productions. The jury award: Prima directed by Laura Bari. 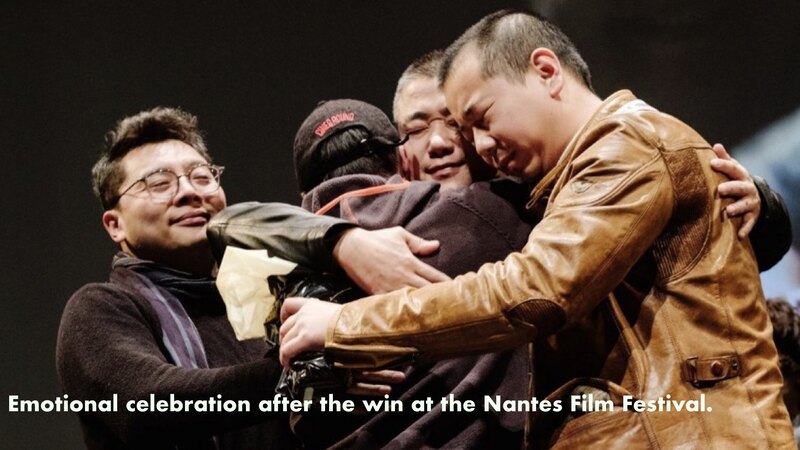 Tao Gu’s Taming the Horse also earned the Montgolfiere Award in France at the 2017 Nantes Three Continents Festival thereby joining film masters Hou Hsiao-hsien and Jia Zhangke, who were previous winners of this prestigious award. Tao Gu describes how difficult it was to complete the film, which took him and the production company five years. Taming the Horse follows a young man, Dong Dong, who, in the wave of the immigration inside China, migrated with his family from the wild prairie in Haila’er, Inner Mongolia to Kunming, a populated city in Southwest China. In the highly materialistic and commercial city, Dong Dong is a misfit, who is too sensitive and rebellious to follow social conventions. He has many dreams but has little chance to achieve any of them. As a result, he loses his way. 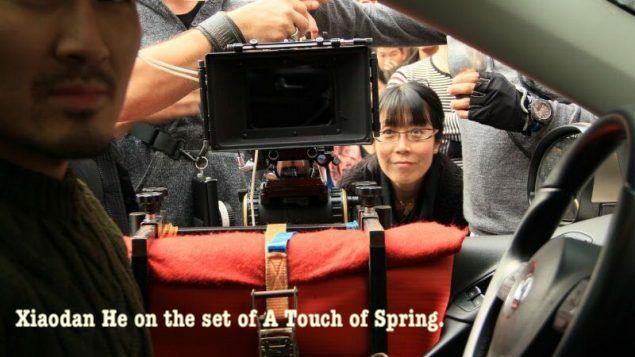 Another success for GreenGround came in 2018 with the release of A Touch of Spring, the debut film of director Xiaodan He. It garnered critical acclaim from both reviewers and audiences, and she won the award for best new director at the New York Asian-American International Film Festival (AAIFF) that year. It has also been named as one of the best 20 Asian films in America. A Touch of Spring deals with another type of journey in that addition to travel, it’s a trip towards healing. After her marriage falls apart in a bleak Montreal winter, a young Montreal woman, Li Fang, embarks on a trip back to her hometown of Dazu in Sichuan, China. There she reunites with her estranged family hoping to find peace. It’s a detailed, touching, and realistic story. Aonan Yang immigrated to Canada from China with his family as a teen-ager and entered high-school. He later went on to Montreal’s Concordia Universty earning a Bachelor’s degree in film studies. Still later in partnership with two classmates, they founded GreenGround and subsequently a service company CineGround Media. In the past two years, GreenGround Production has released two feature films and three documentaries, including Taming the Horse and A Touch of Spring. Yung Chang also graduated from the film studies programme at Concordia University. 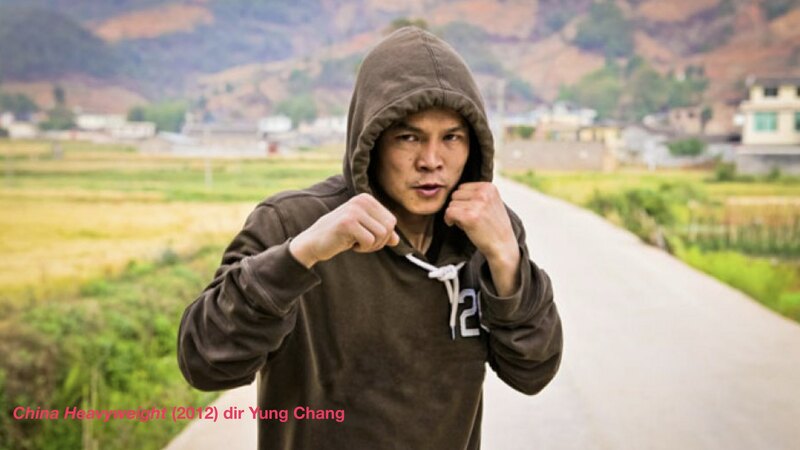 After the films Up the Yangtze and China Heavyweight, he released Fruit Hunter in 2013. He currently resides in Toronto with his wife and young daughter. Yung was not a Montreal native, but he said he nonetheless gets a feeling of nostalgia for the city, and misses it very much. Xiaodan He is a graduate of the Beijing Film Academy but has lived in Montreal for 16 years. Her short film Cairo Calling about the life of immigrants was screened in over 50 festivals around the world winning two audience awards. 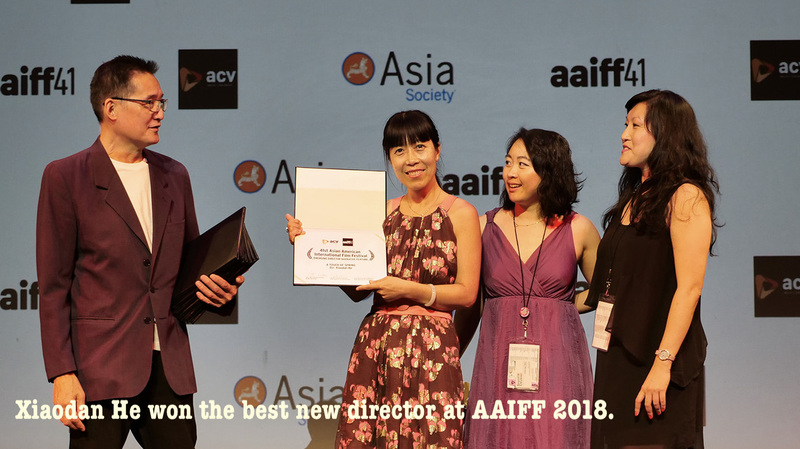 A Touch of Spring, her feature film debut, won her the best new director at the AAIFF. In the interview, she shares her own experience of being an independent Chinese filmmaker in Montreal, especially her persistence and dreams. Tao Gu came to Canada as an immigrant and graduated from the film department of Concordia University. His work includes the award-winning short film The Way to the Sea (2010) and the long documentary Taming the Horse (2017). Many people dream of making movies, but very few are able to achieve the goal. 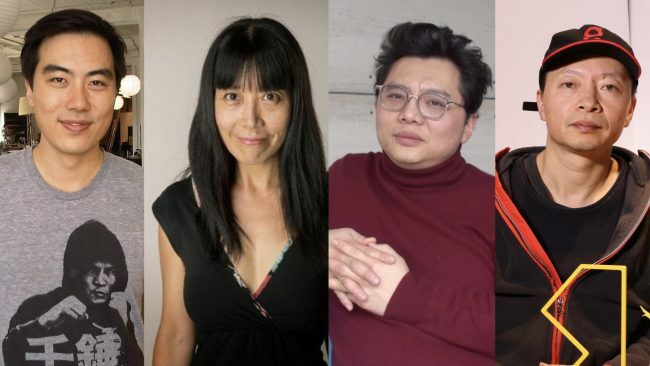 After all the interviews, I gradually realized something that might answer my lingering question: What is so special about Montreal that it can nurture this group of Chinese filmmakers? 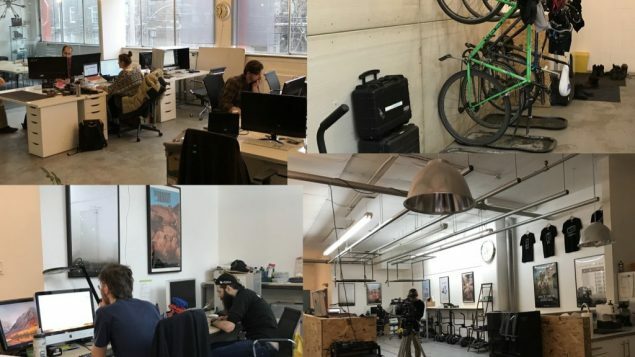 All the filmmakers I interviewed agree that both provincial and federal governments provide a very supportive environment for independent film makers in Quebec. Major federal funding is provided by Telefilm Canada and the National Film Board (NFB). Filmmakers in Quebec can also apply for grants from the Quebec Culture and Arts Council (CALQ) and the Quebec Cultural Development Association (SODEC). Without these funding agencies, Canadian independent film making would hardly exist. Even the two film studios, Eyesteel and GreenGround, benefit from the help of government funding for business and the arts. During the interviews, I realized that this group of Chinese filmmakers are very close to each other personally and professionally. They share the same dreams and they help and support each other to achieve their goals. Lixin Fan was the photographer of Yung Chang’s Up the Yangtze and one of the producers of Chang’s China Heavyweight. Xiaodan He said she was lucky to have Tao Gu as the editor of A Touch of Spring. Tao Gu told me the reason Aonan Yang decided to set up Greenground Productions was in order to produce Taming the Horse and they have continued this collaboration since then. Tao Gu expressed his deep appreciation to his cinematographer and one of the producers Xun Yu, who convinced his father to invest two hundred thousand Chinese Yuan to start the project. When talking about Montreal, Chang became emotional saying he is almost nostalgic about the city even though he is not a Montreal native. He misses his starting days with Eyesteel, which made him feel warm and supported in the pure joy of filmmaking. Aonan Yang agrees that it is very important to work with like-minded collaborators, which he called the microenvironment, versus the macro environment which the governments provide. Every filmmaker has suffered setbacks at some points, Yang continues, so we take a break, we get up, and we look around and feel lucky to have all those friends who share the same ideas, and we feel refreshed and energized again. Hollywood’s success is based on the commercial model, big productions, big stars, and big box office returns. However, experimental and avant-garde films are the ones that preserve the innovation and vitality of film as an art form. Montreal is deeply influenced by European art films, especially French ones, and the backdrop of European art cinema definitely has an effect on filmmakers in the city. In fact, Quebec, Canada’s mostly French-speaking province, where Montreal is located, is vital to the art film genre of the entire country, and not only for Chinese filmmakers. Internationally renowned film directors such as Denys Arcand, Xavier Dolan and Denis Villeneuve are all from Quebec. There used to be an unwritten rule in Hollywood that no movie goer wanted to watch films with subtitles. Therefore, the non-English film market was very limited. But recently, even HBO had a popular TV series with subtitles (My Brilliant Friend, in Italian). 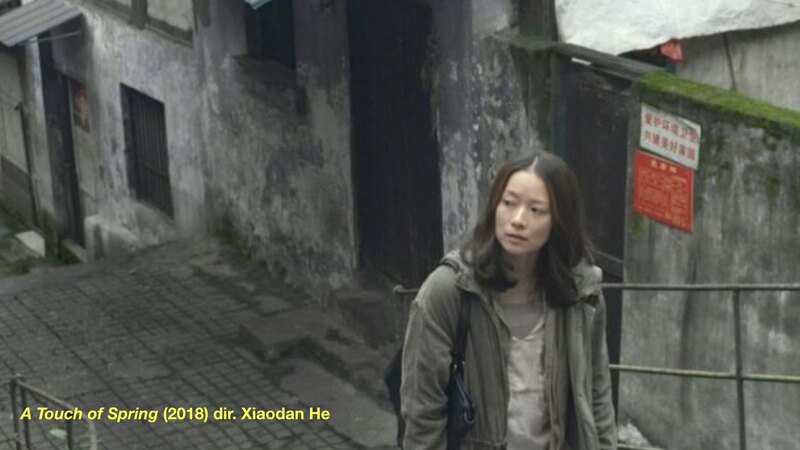 Xiaodan He said in the interview that when Canada Telefilm decided to fund A Touch of Spring, they told her that it was the first time in history that they granted funding to a film that was not in one of Canada’s two official languages, English and French. One of the executives explained that the most important reason for agreeing to fund the film was that they all loved the script and that they believed that Chinese culture has become a part of the Canadian cultural mosaic that enriches the country’s multiculturalism. In Yung Chang’s opinion, there are more opportunities now and more support for different voices from many cultures other than just the usual voices like Canadian or Quebecois filmmakers. Now we look beyond, he says, and immigrant filmmakers bring something very different into Canadian films. Regardless of the current political atmosphere around the world, the acceptance and integration with other cultures and arts is steadily growing. It normally takes years to make an independent film, and filmmakers experience countless obstacles in both financing and producing. Tao Gu told me that he almost lost his life while filming Taming the Horse as he had a major surgery during the production. Yes, film has its magical charm, which continuously attracts young filmmakers from one generation to the next. You have to be talented, passionate about films; you have to persist, tolerate all the loneliness and rejections, and keep believing in yourself but even with those qualities you still very much need some luck – and then maybe, only maybe, you may have a chance to continue pursuing your dreams on the big screen. Ten years later after his start, Yung Chang became a father, and moved to Toronto with his wife and infant daughter to be closer to his family. He is currently completing two documentaries, one about a journalist and the other about a wrestler. He is very excited about starting to shoot his first feature film Eggplant next year, which will also be produced by Eyesteel Film. He has spent years rewriting the script, which was one of the 12 projects entered into the Sundance Screenwriters lab in January 2015. Yung will only reveal that it is about youth and love and that it is set in both China and Canada. Lixin Fan left Montreal and returned to China after The Last Train Home. In recent years, he has directed I am Here (2014) and Earth – An Amazing Day (2017). Tao Gu is also in China and working on his first feature film. My Father and His Melancholy by Xiaodan He. Xiaodan He is finishing a documentary My Father and His Melancholy, which is about her father, a prominent scholar of Dongba (or Tomba), an ethnic culture in Southwest China. At the same time, her second script of a feature film has already received grants from various government art funding. 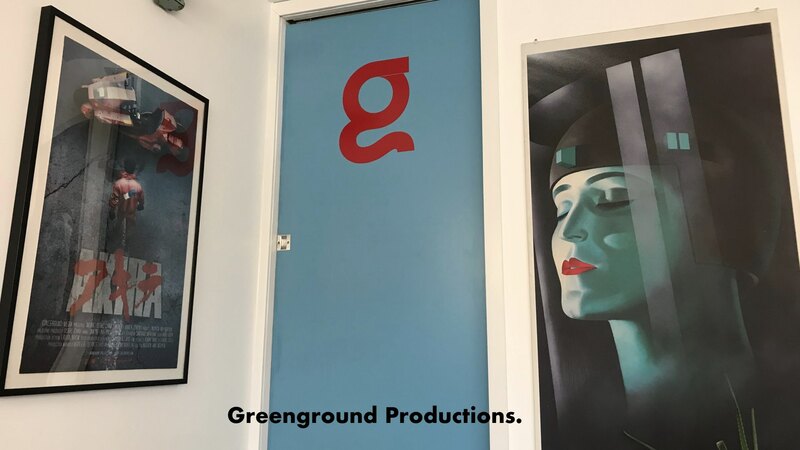 GreenGround Production and its post-production company have begun working with some famous filmmakers in Quebec like Denis Cote. Meanwhile, Aonan Yang is preparing for a new feature film. It’s a genre film, maybe a thriller, he said mysteriously. 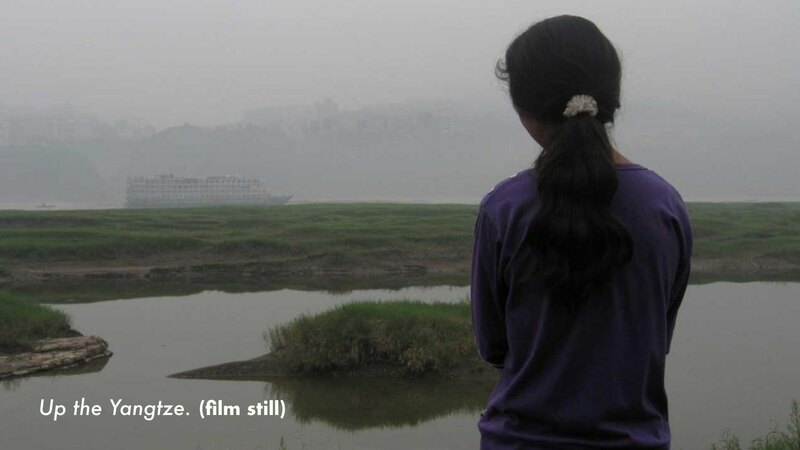 As for Eyesteel Film, it continues to produce documentaries focusing on different cultures and social issues. Comment Montréal est devenue la ville des cinéastes d’origine chinoise? the name montreal is increasing day by day and his following is awesome, lets see what he will do.